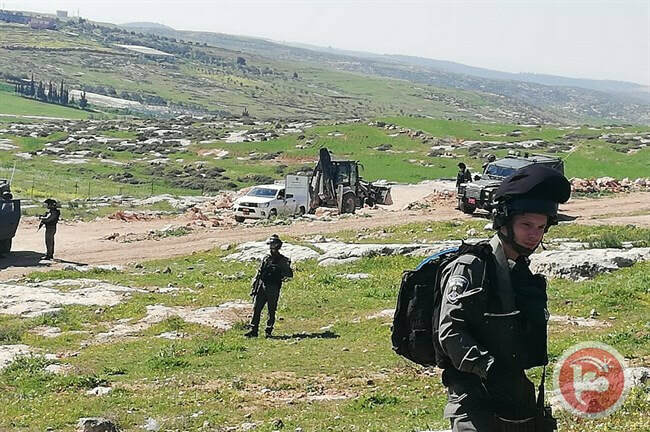 Israeli forces prevented the opening of an agricultural road, on Monday, in western Yatta City in the southern occupied West Bank district of Hebron. 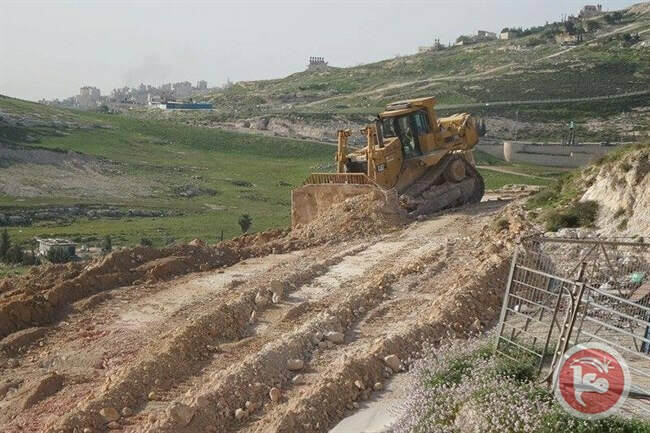 Coordinator of a local settlement against the Israeli separation wall, Rateb al-Jbour, reported that Israeli forces prevented Palestinians in the al-Amad area in western Yatta from opening an agricultural road, southeast of a nearby illegal settlement, to be used by local farmers. Al-Jbour pointed out that this is the second time Israel stops work on the road. Around 3,000 Israeli settlers live in illegal Jewish-only settlements in the Yatta region, according to the Applied Research Institute Jerusalem. Staff members from the Israeli Civil Administration delivered a stop-construction order to the Palestinian Equestrian Club building in Qalandiya village, north of the central occupied West Bank district of Jerusalem. 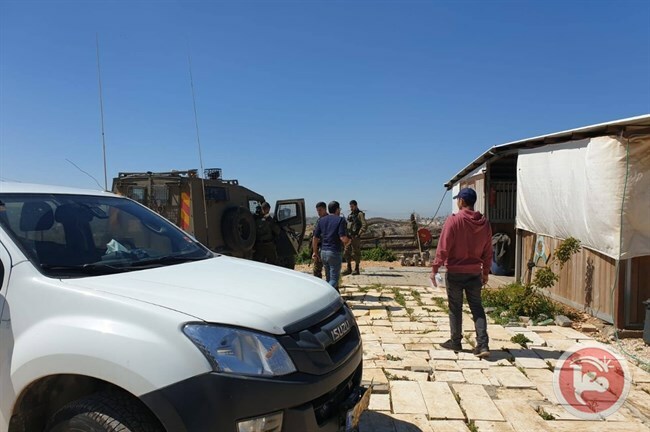 According to local sources, Israeli forces along with staff members from the Israeli Civil Administration stormed the area and delivered a stop-construction order to the Equestrian Club. Sources confirmed that residents face a construction crisis as they have only been able to build in the center of the village, which makes up 150 dunams (37 acres) out of the original 4,000 dunams (988 acres). Sources added that the order was issued under the pretext that the building was being built without the nearly-impossible to obtain Israeli permit. 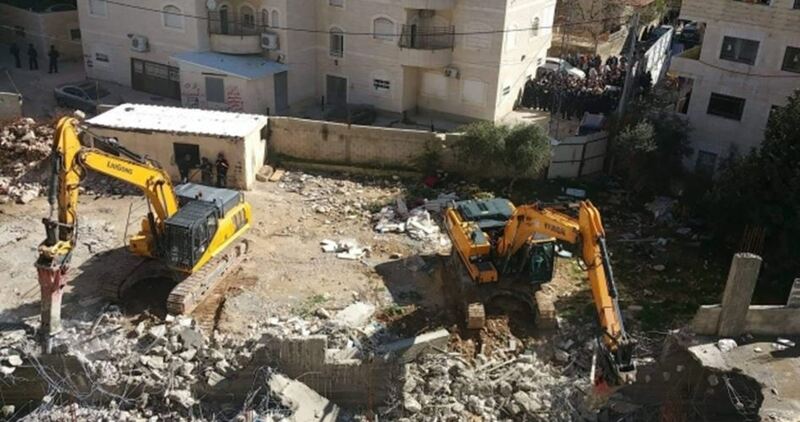 The Israeli municipal authority in Occupied Jerusalem on Tuesday demolished, without prior notice, a building under construction belonging to al-Razi School in Shu’fat refugee camp, northeast of the holy city. Local sources said that Israeli troops stormed the camp and evacuated all the students, teachers and employees from the school before bulldozers embarked on knocking down the two-story annexe. Meanwhile, Israeli soldiers closed the military road barrier at the entrance to the camp and prevented Palestinian citizens and vehicles from moving in both directions. Al-Razi School, which serves a wide segment of Palestinian children from the camp, was in need for another building to accommodate more students. 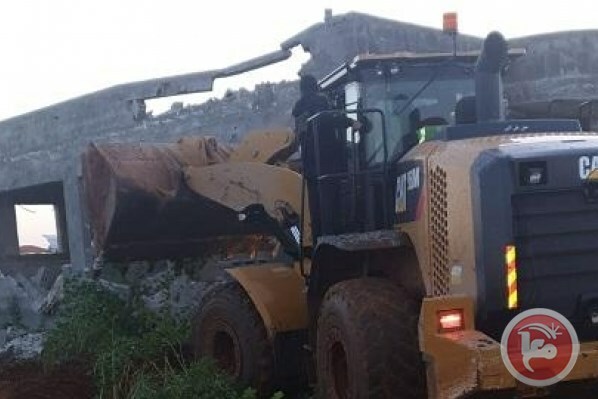 The Israeli occupation forces (IOF) on Monday delivered demolition and stop-work orders against five Palestinian homes in Hares village, west of Salfit in the West Bank. Chief of the village Tayseer Souf reported that five local residents received demolition and stop-work orders issued for their homes in the eastern area of the village on allegations they are located in an Israeli-controlled area (Area C). Recently, the Israeli occupation authority has intensified its demolition campaign against Palestinian homes and structures throughout the occupied Palestinian territories. Israeli forces razed and leveled the debris of a Palestinian elementary school in the al-Simiya village in the southern occupied West Bank district of Hebron, on Monday. Israeli forces also took down the al-Tahaddi 13 School sign and sealed off the road leading to the school with dirt mounds. The school, that is made up of mobile class rooms, was built by the Palestinian Ministry of Education late 2018, at a cost of €40, 000, and was scheduled to open December before being demolished by Israel. 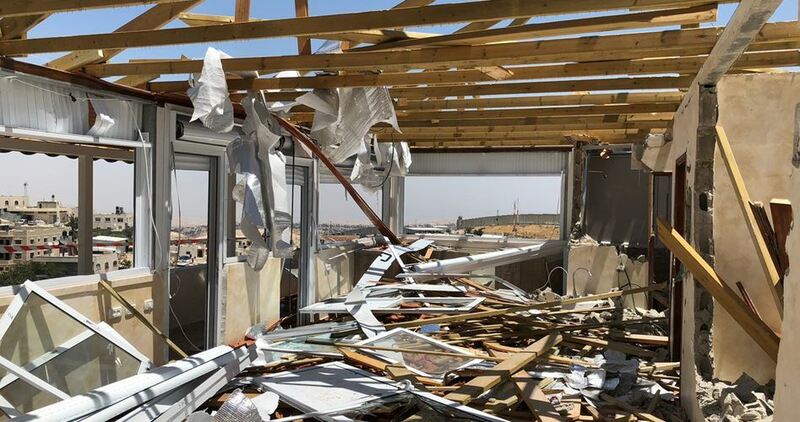 Head of the Directorate of Education in Hebron, Khalid Abu Sharar, said that Israeli military bulldozers raided the school area and carried out the razing and leveled what is left of the school to the ground. Abu Sharar condemned the assault against the school, pointing out that it would not stop the Ministry of Education from rebuilding the school. The al-Tahaddi 13 School consists of seven classrooms, and serves 50 students. 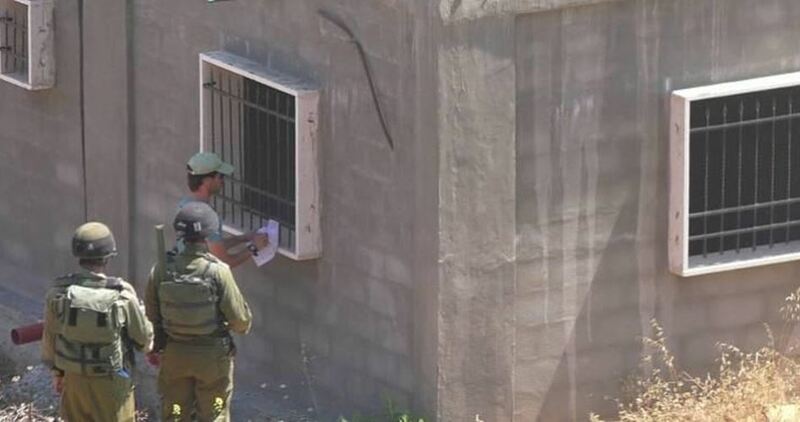 The Israeli occupation forces (IOF) on Monday handed a Palestinian citizen a stop-work order for his house, confiscated construction materials and searched other homes in al-Khalil province in the West Bank. Local sources said that Israeli troops stormed al-Samu town, south of al-Khalil, and handed Mustafa al-Baddarin a notice ordering him to stop construction work on his house, searched it and seized building materials. Israeli forces also stormed the southern area of al-Khalil city, and ransacked several homes. Meanwhile, the IOF set up several makeshift checkpoints at the main entrances to the towns of Sa’ir and Halhul and at the northern and southern entrances to al-Khalil city and embarked on searching cars and citizens and checking their IDs. 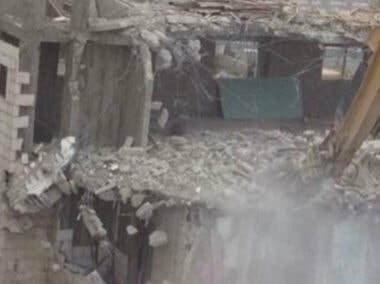 A Palestinian resident of the Qalansuwa City in central Israel was forced to demolish his own home upon order by the Israeli authorities, on Wednesday evening. Locals reported that Saleh Jamal demolished his own home to avoid Israeli fines and costs of demolition. The Israeli authorities ordered the demolition under the pretext that the building lacks the necessary licenses. 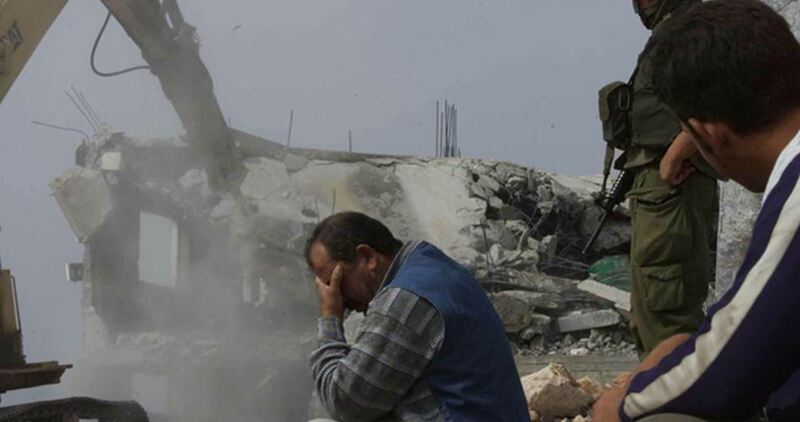 Israel had demolished another house belonging to the same family several years ago. While Israeli law guarantees Palestinians the same equality as other citizens, in practice there are claims of discrimination in government funding and a raft of other issues, nearly all Palestinian applications for building permits are denied by the Israeli authorities, forcing communities to build illegally. As part of a recent decision to reject almost all Palestinian building requests, Israel’s planning and building committee in Occupied Jerusalem turned down some 20 applications submitted by Palestinians to obtain residential construction permits. According to Haaretz newspaper, the Israeli committee intends to rule out almost any future Palestinian construction in east Jerusalem, whose native residents face a serious housing shortage due to years of deliberate neglect of Palestinian neighborhoods, including the lack of any zoning plans and infrastructure in these areas. One of the most difficult obstacles to Palestinian construction in Jerusalem is the fact that ownership of about 90 percent of land in the eastern part of the city is not registered under anyone’s name. Consequently, Palestinian residents cannot prove property ownership and therefore they cannot submit applications for construction permits. However, the Israeli authorities wants to exploit such a situation to refuse all applications for construction permits submitted by Palestinians who do not possess ownership documents. Such a problem had been dealt with in past decades with the “mukhtar protocol.” Anyone wanting to build on their land must collect signatures of consent from mukhtars, who are local leaders or clan heads, Haaretz noted.